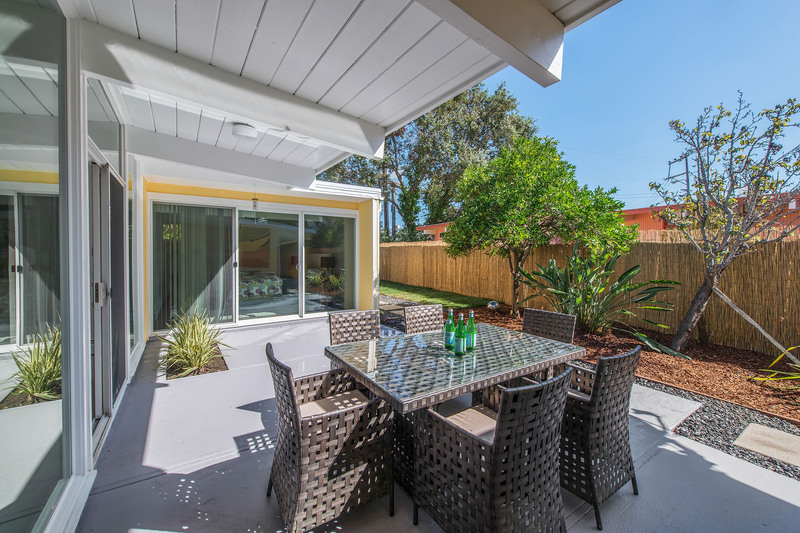 Move into 638 Bamboo Terrace just in time to celebrate and entertain for the holidays. 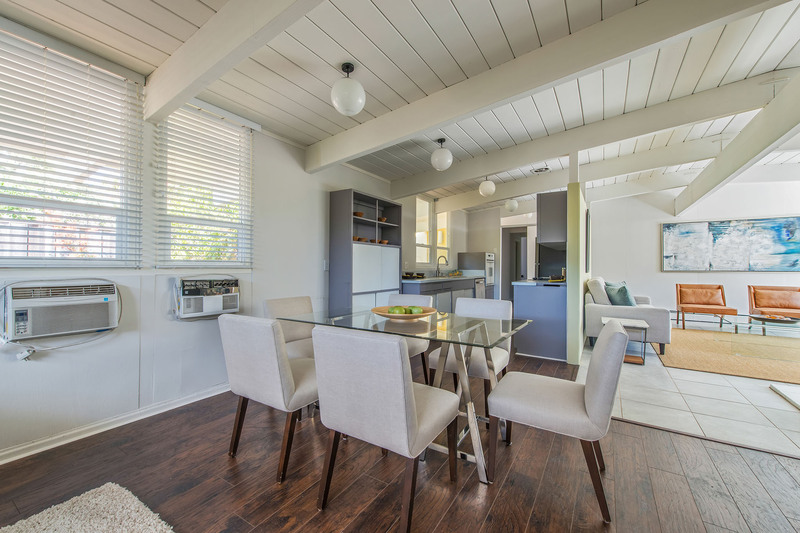 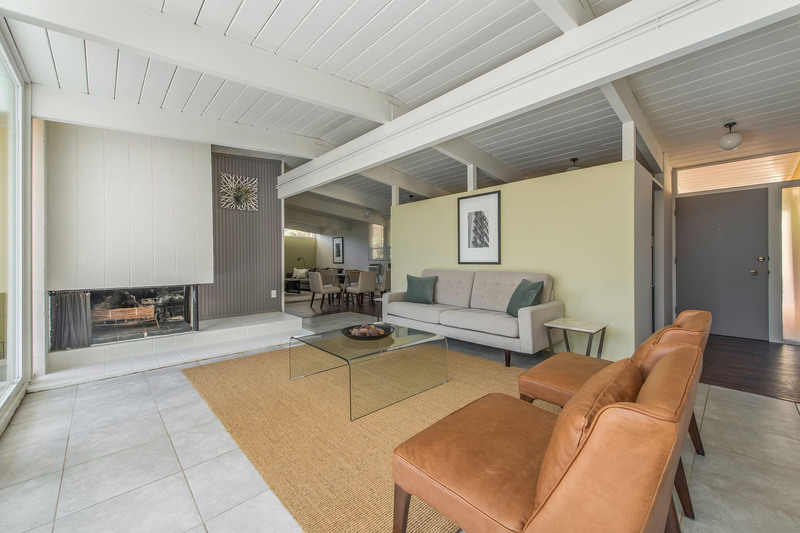 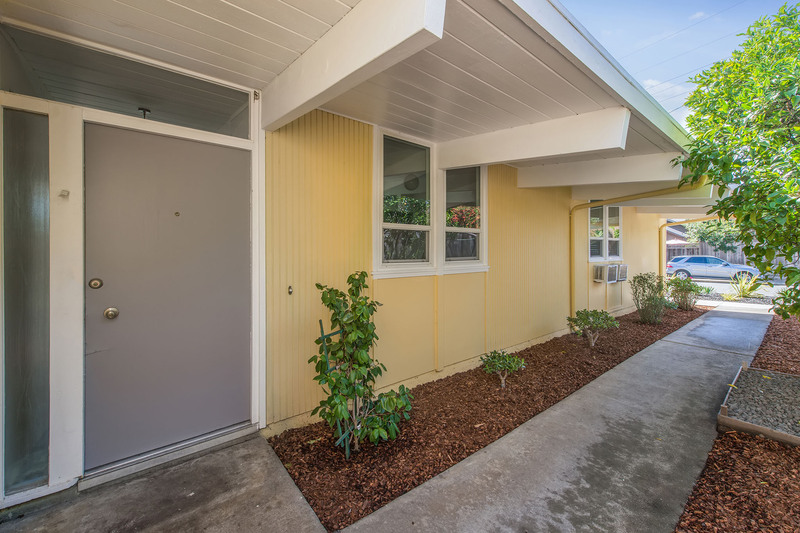 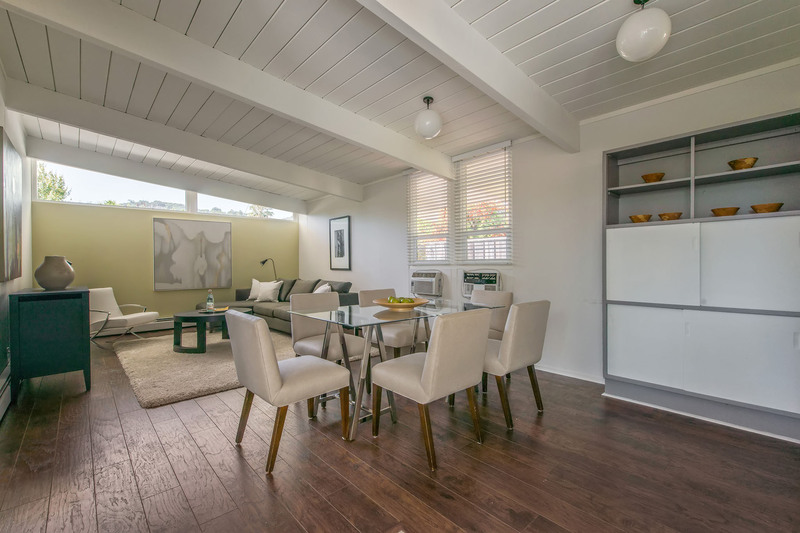 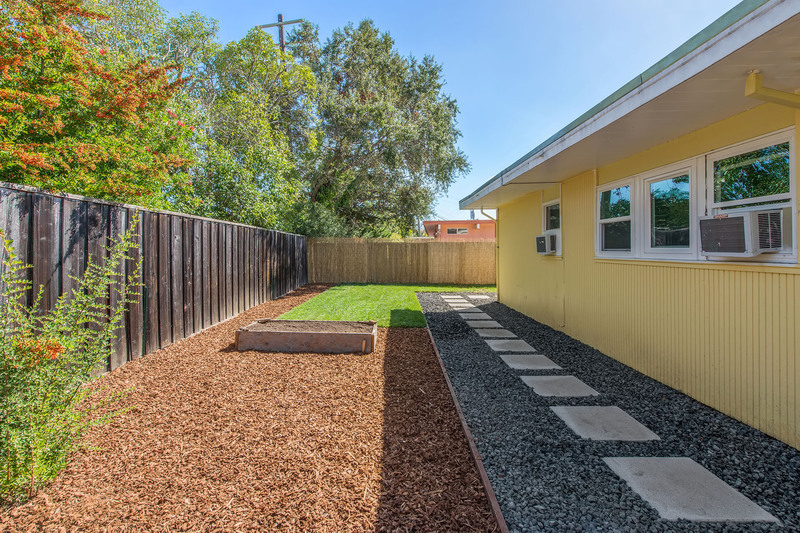 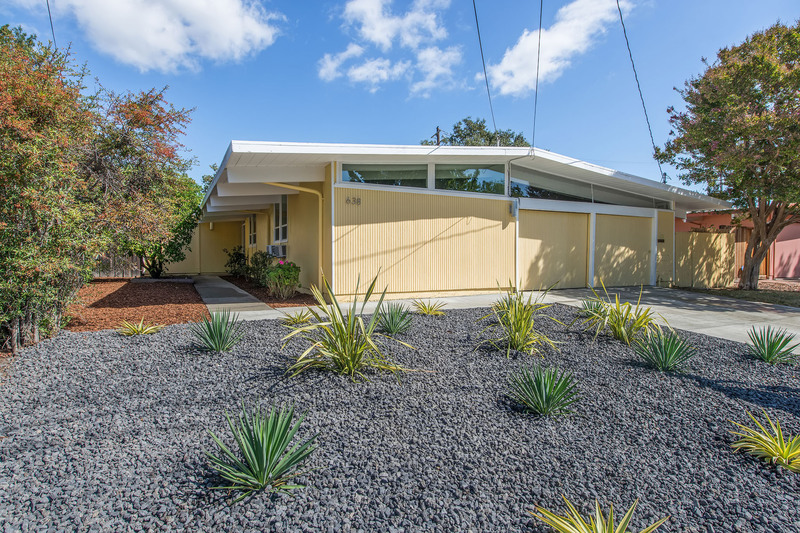 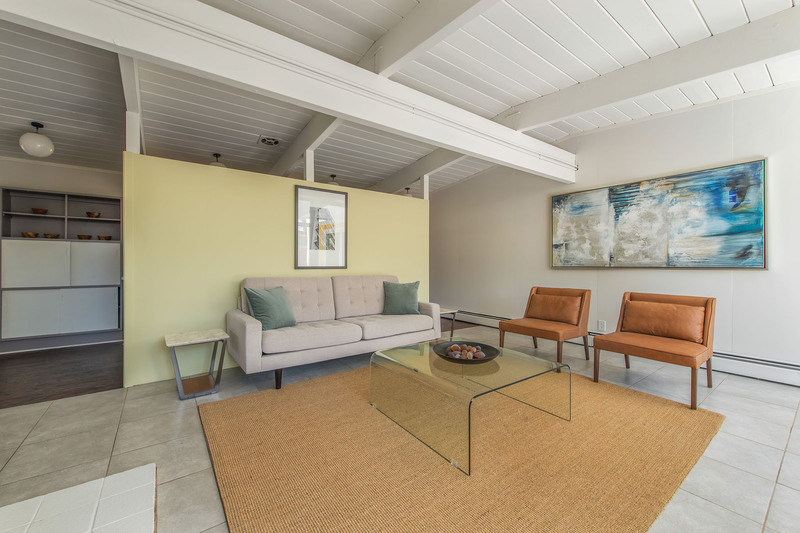 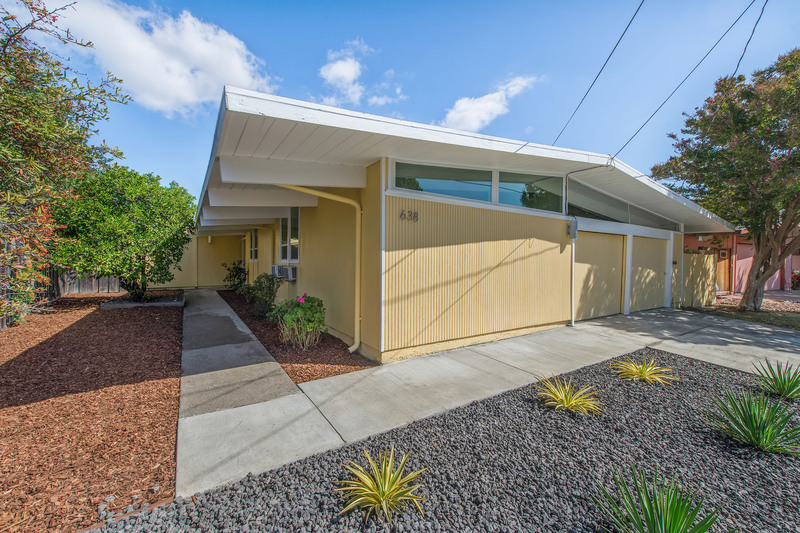 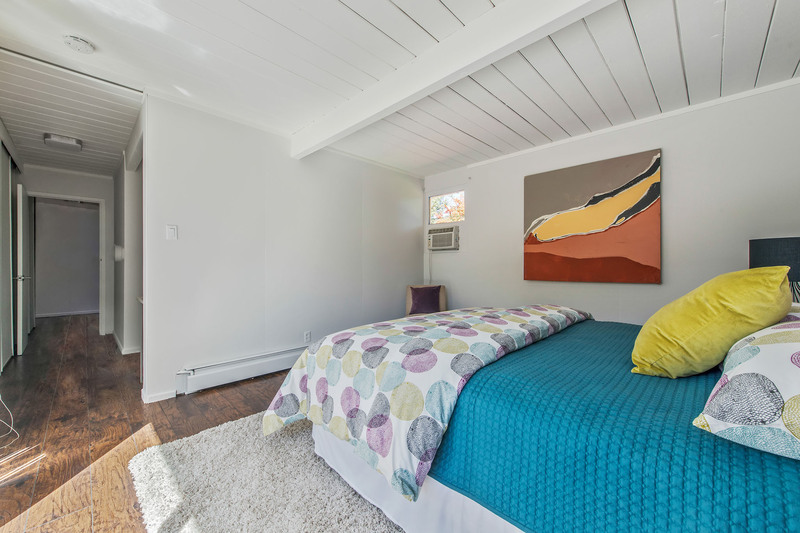 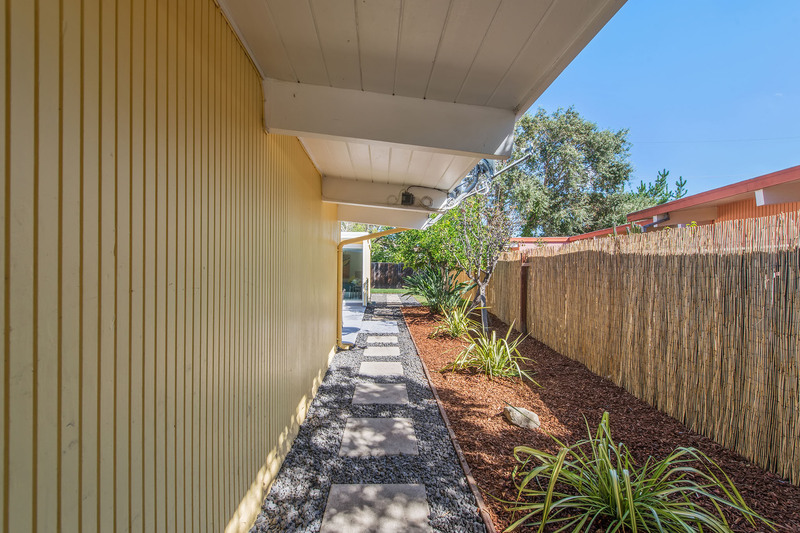 This 3 bedroom, 2 bath Eichler is located on one of the most desirable streets in the Terra Linda North Neighborhood known for the most festive Halloween celebrations. 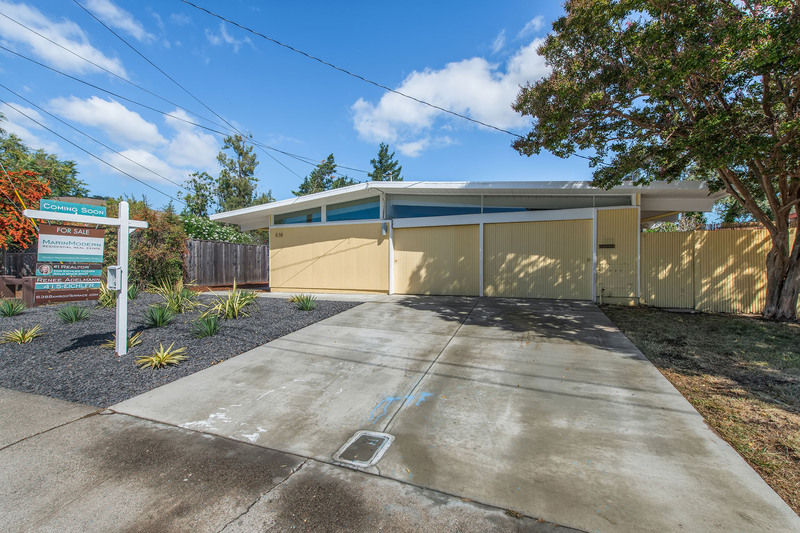 Built in 1955, this home is 1579 sq ft (buyer to verify) and situated on a 6,500 sq ft sunny lot. 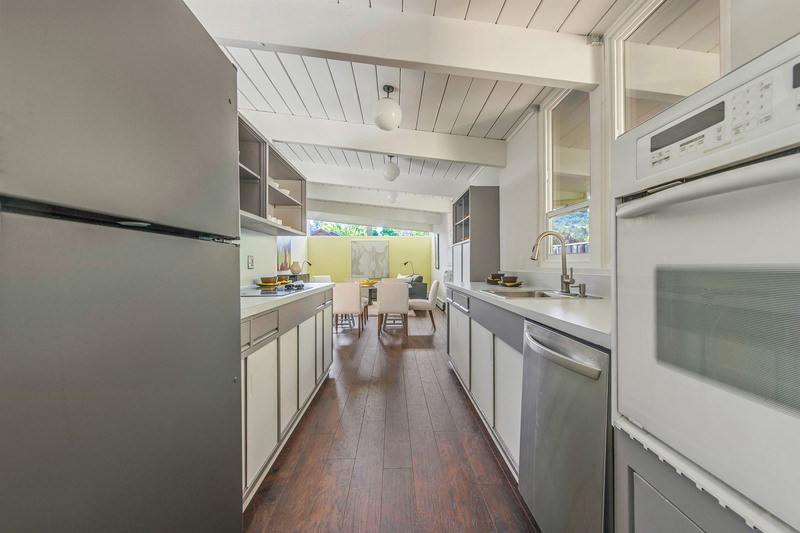 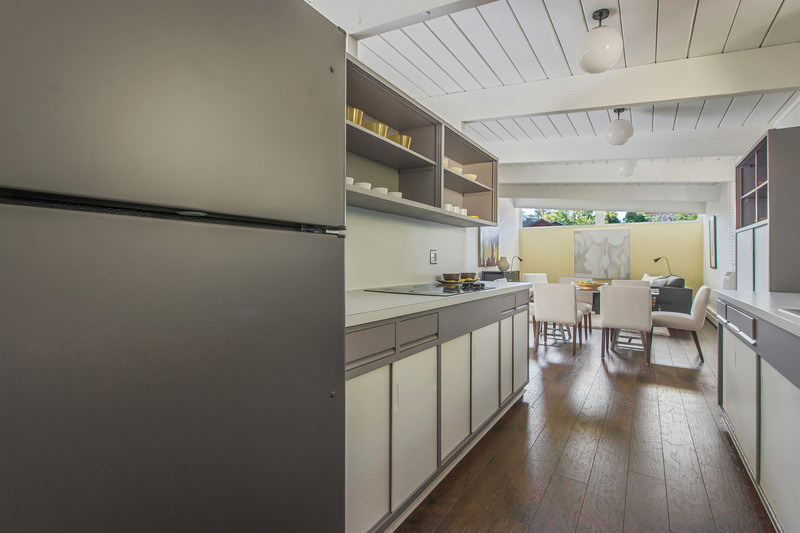 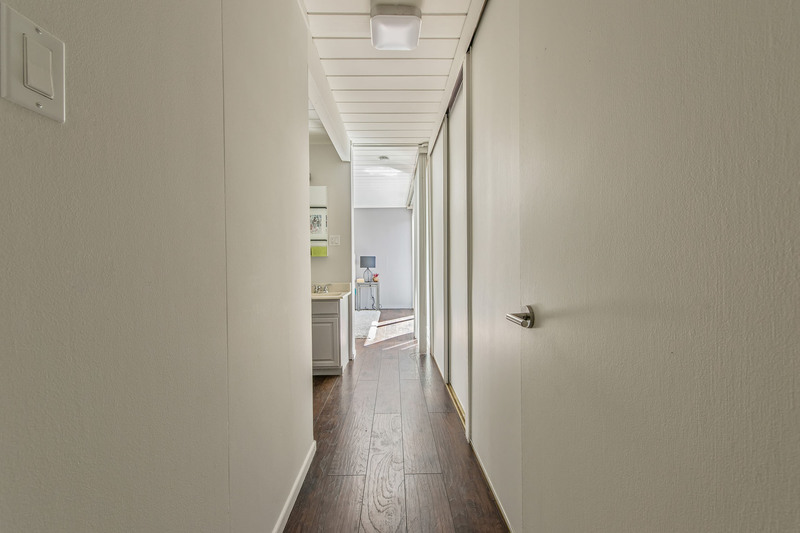 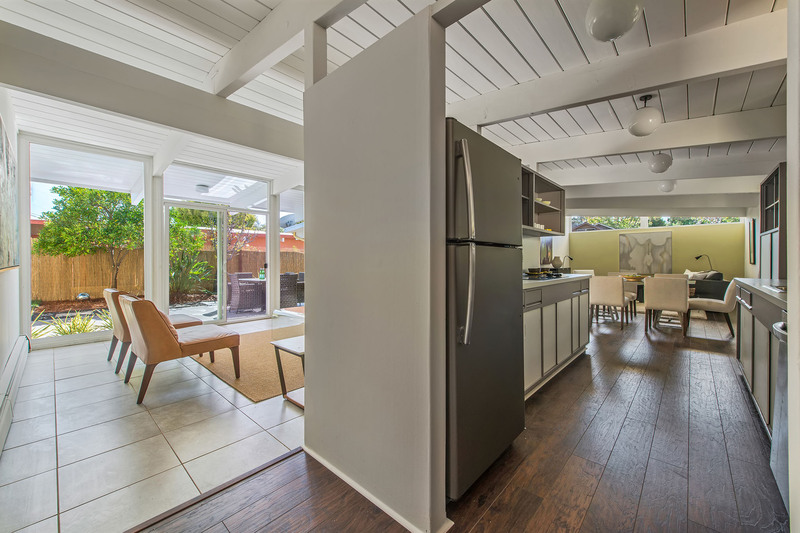 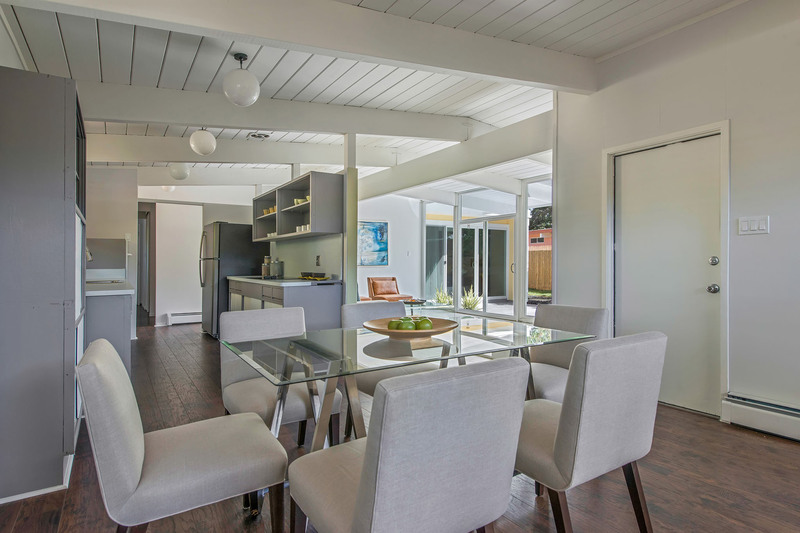 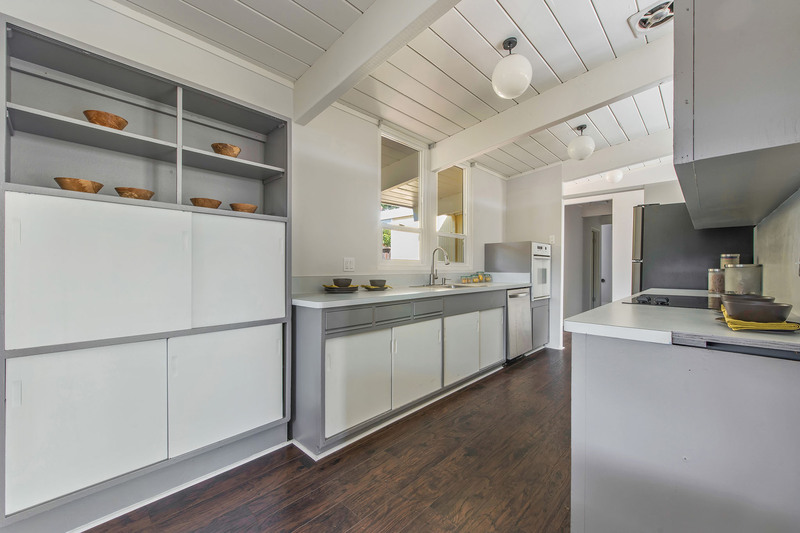 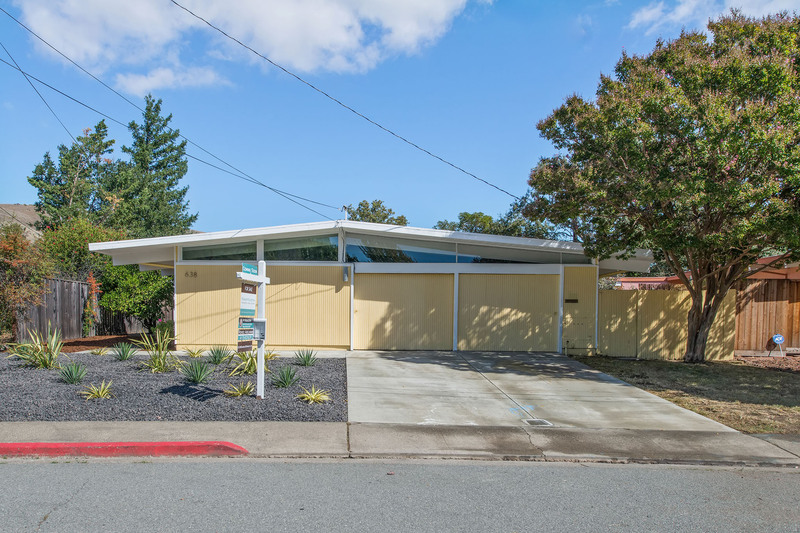 The Eichler enthusiast will appreciate the original details that are still in tact, such as many globe lights and the kitchen cabinetry. 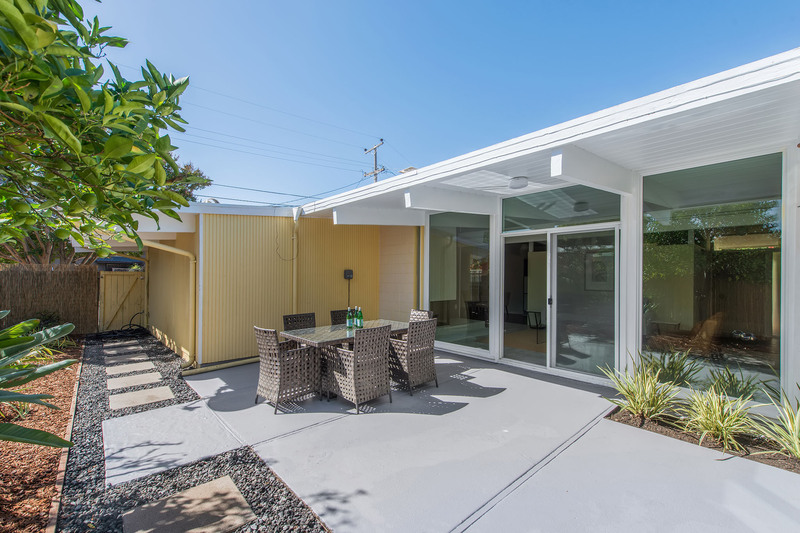 A foam roof and new dual pane windows and sliding doors are also some other features that make this home a gem! 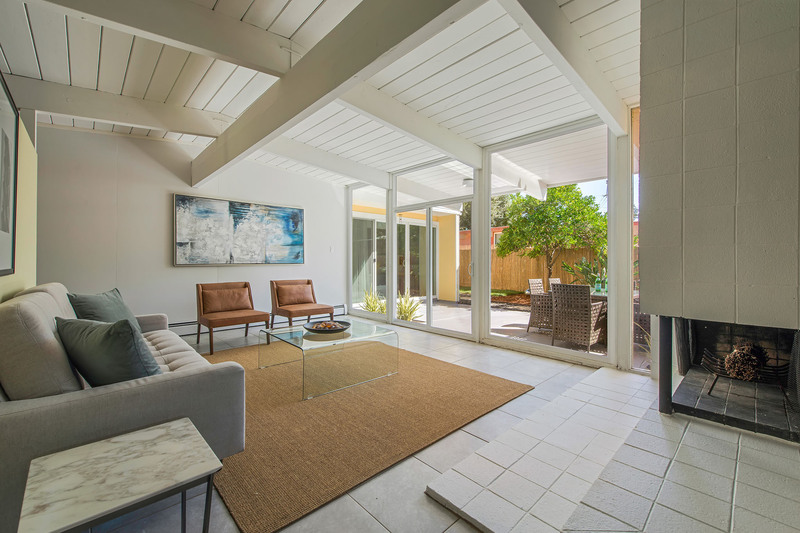 The outdoor patio adjacent to the living room floods the home with light and is the perfect space for indoor/outdoor living and entertaining guests. 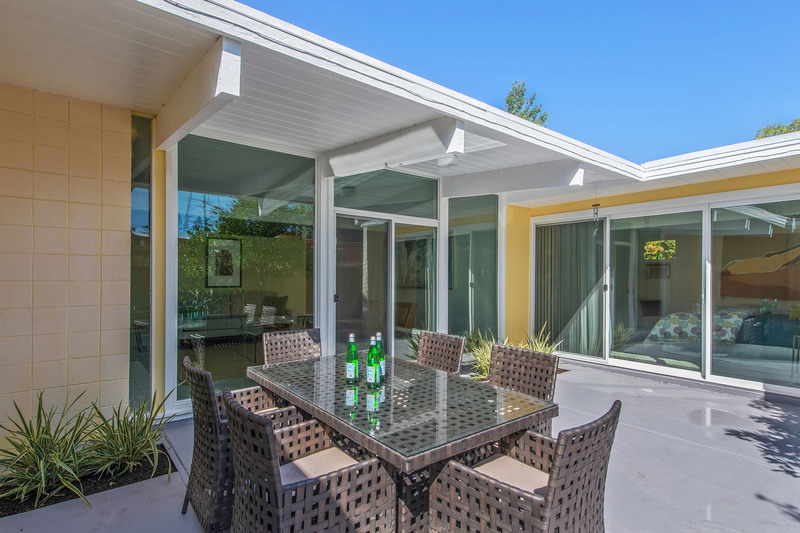 Imagine having your morning coffee or a glass of wine on the inviting patio. 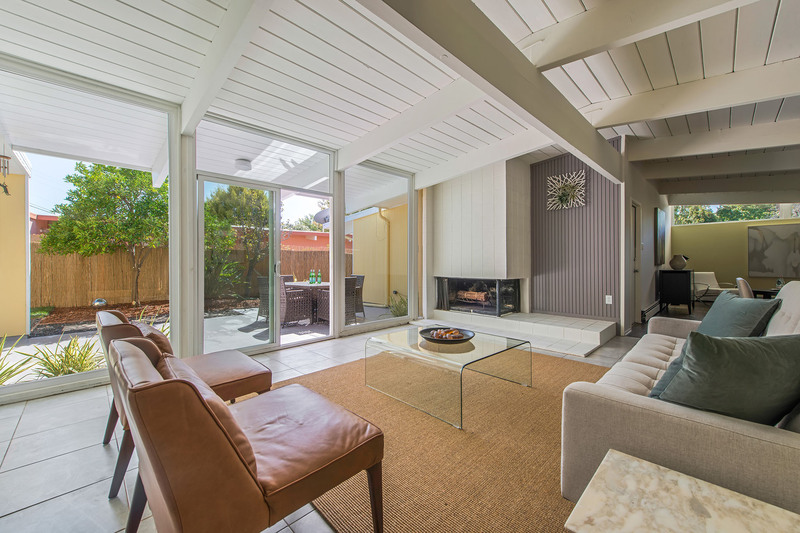 Enjoy the wood burning fireplace during the colder months. 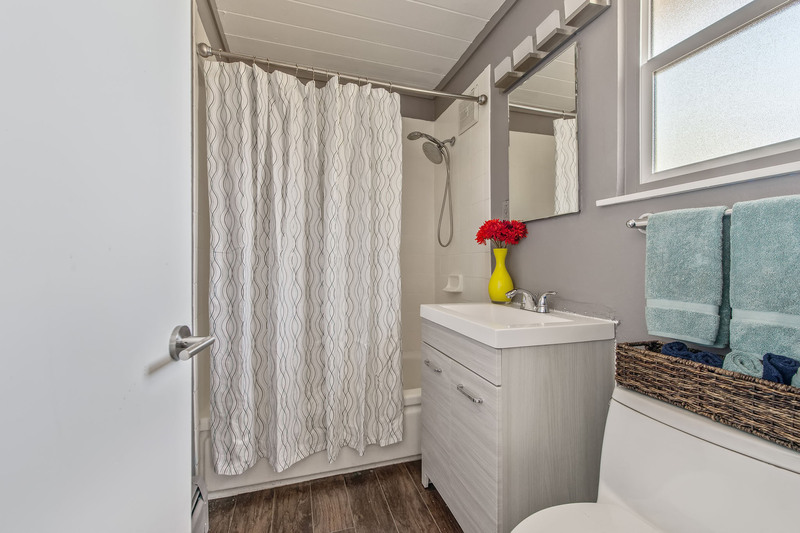 Recent updates include all new interior paint, new laminate flooring throughout, an updated bathroom, many new light fixtures and lush landscaping. 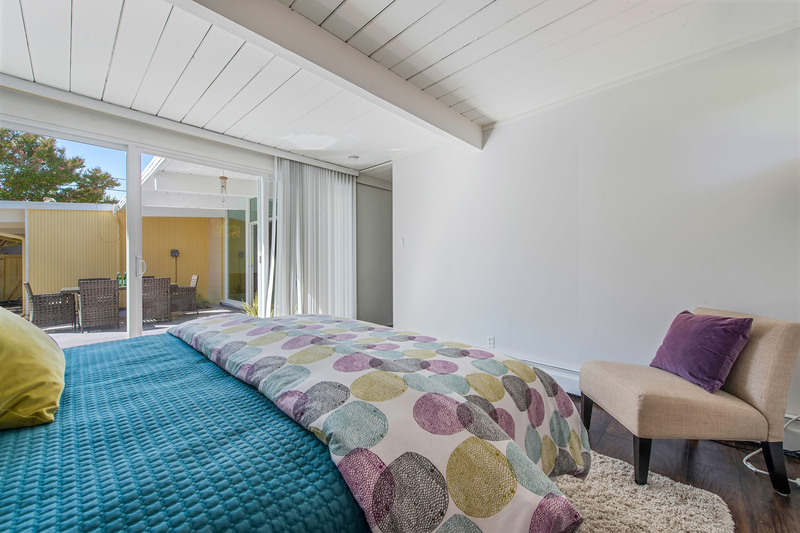 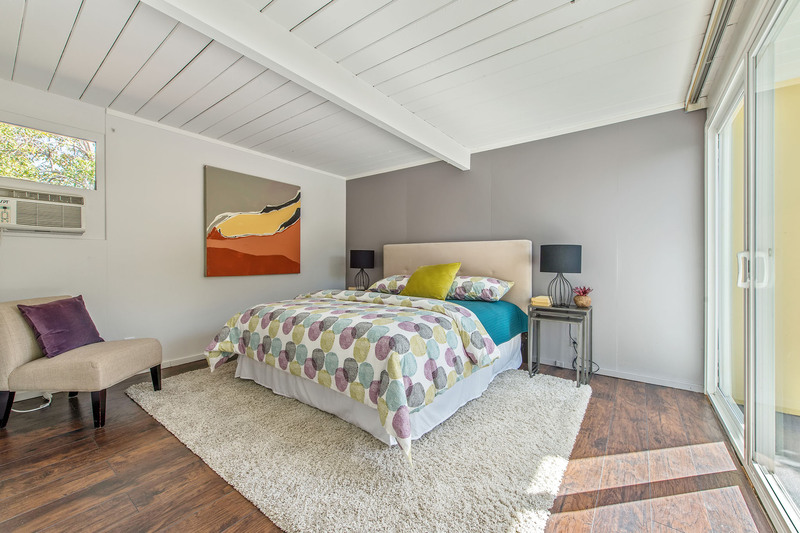 The master bedroom, located at the rear of the house is light and bright with direct access to the lovely patio with an en suite bathroom and ample closet space. 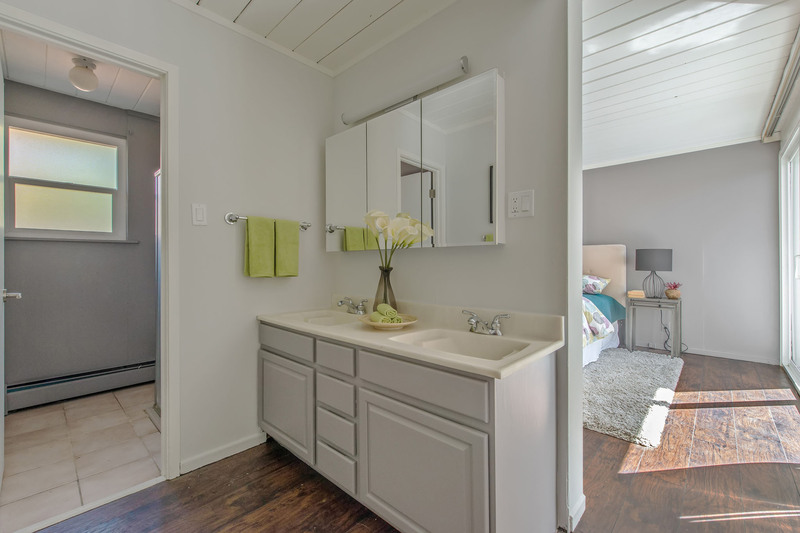 The laundry room is inside the home and the 2 car garage provides plenty of extra storage space. 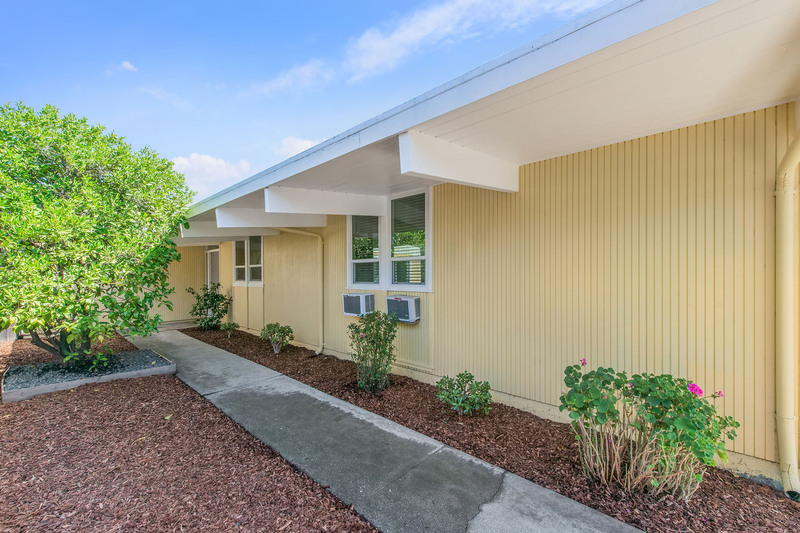 This highly coveted location is the neighbor to award winning schools (Dixie School District), Scotty’s Gourmet Market, restaurants, and an ice cream shop all easily accessible by the nearby pathway behind the home. 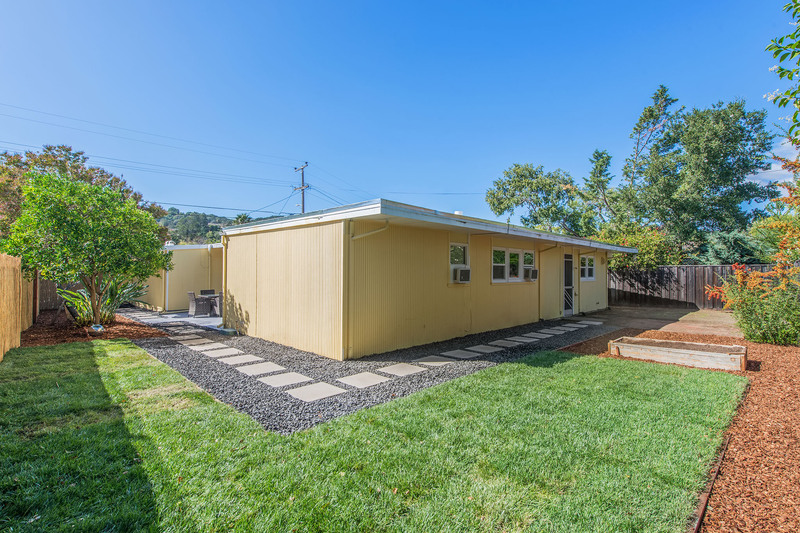 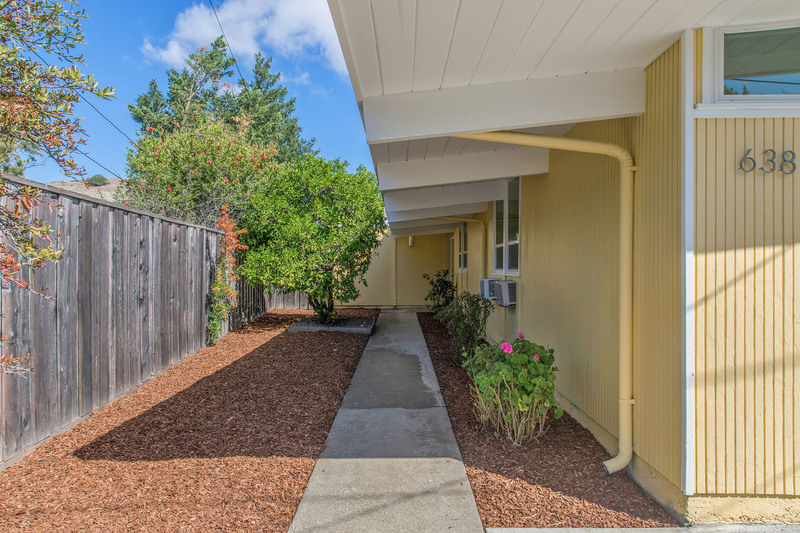 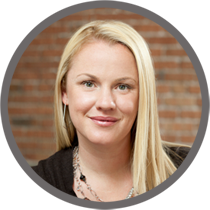 Open space, hiking, a yoga studio, Terra Linda Rec Center close by and so much more!